The 1st Call for proposals was closed on 14 February 2018. 39 applications were submitted via electronic monitoring system (eMS) with the total requested grant EUR 15 276 551 while Programme funding available under the 1st Call for proposals is EUR 9 580 540. 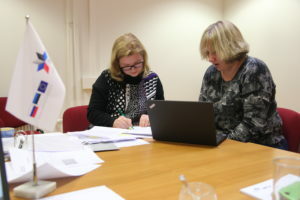 In January and February consultations were provided in all JTS offices to projects invited to submit full applications to ensure effective elaboration of the content. Joint Technical Secretariat (JTS) has implemented the administrative eligibility check of the submitted applications and 59 different types of clarifications were requested from the applicants with the set deadline until 15-16 March. Based on the number of submitted applications Business and SME development (Thematic Objective 1) was the most popular one. Active interest in businesses development is coming from the needs of the locals in border regions where level of unemployment is rather high. Planned cross border cooperation projects are supposed to strengthen business capacity and support to further market growth through the activities of the projects. 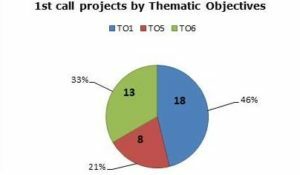 However, the demand for funding was high on the Environmental protection (Thematic Objective 6). Project activities in this sphere will be directed to contribute to preserve and protect environment in the Programme area and raise awareness of local people on careful use and protection of joint ecological resources, energy-saving solutions. 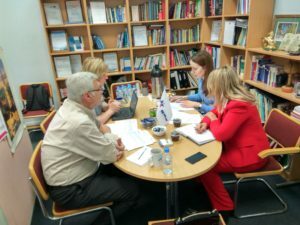 Joint efforts of organizations from various Estonian and Russian Programme regions involved in the projects will influence the current situation and have positive impact on the border regions. 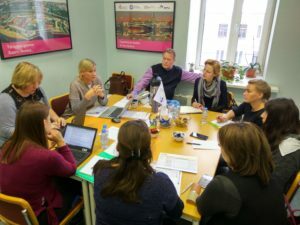 Nevertheless there is another equally important area of support to local and regional good governance (Thematic Objective TO5) where cross-border activities will facilitate to job creation, to improve living environment due to cooperative activities in the sphere of health, sport, culture and education. Cooperation between local and regional administrations and other institutions will bring to experience exchange in various fields concerning joint planning and e-services. 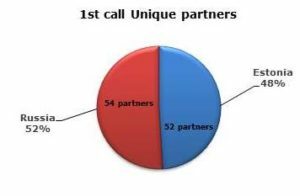 Altogether 106 unique partners and 82 associated partners are involved in projects. Types of organizations are different representing regional and local public authorities, educational organizations, NGOs, small and medium enterprises. Final decisions by the Joint Monitoring Committee on the evaluation process are expected by the end of June 2018.